Fighting crime in Chicago will soon be getting a lot greener. The 2019 Chicago Auto Show unveiled sleek new designs, increased towing capacity and even a pizza-baking concept car. 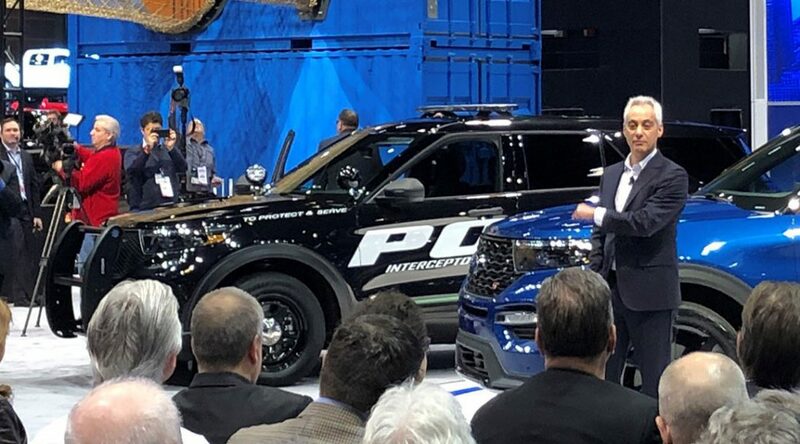 And Ford Motor Company’s new hybrid version of its police SUV, called the Police Interceptor Utility, promises to offer an environmentally friendly option for law enforcement that will reduce both fuel costs and the department’s carbon footprint. Andy Lederman describes himself as the friend who likes to find fun new things to do with his pals. This mindset didn’t change when he moved to Chicago after college seven years ago to work in private equity. The issue was he couldn’t find the go-to guide he wanted, so he decided to produce his own. “We were all working really hard at our respective finance jobs so we didn’t have time to research this stuff and there was no good research out there,” he said. Lederman created Chicago Bucket List, an Instagram account with a mission to curate a list of the best things to do in Chicago for his friends.